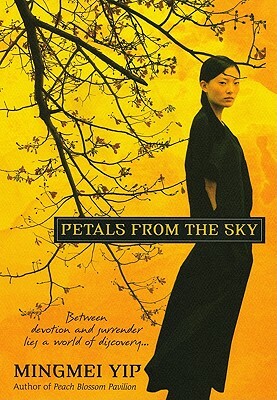 From the acclaimed author of Peach Blossom Pavilion comes a lush and lyrical novel of East and West--and of one young woman's search for her heart's true calling. . . When twenty-year-old Meng Ning declares that she wants to be a Buddhist nun, her mother is aghast. In her eyes, a nun's life means only deprivation--"no freedom, no love, no meat." But to Meng Ning, it means the chance to control her own destiny, and to live in an oasis of music, art, and poetry far from her parents' unhappy union. With an enigmatic nun known as Yi Kong, "Depending on Emptiness," as her mentor, Meng Ning spends the next ten years studying abroad, disdaining men, and preparing to enter the nunnery. Then, a fire breaks out at her Buddhist retreat, and Meng Ning is carried to safety by Michael Fuller, a young American doctor. The unprecedented physical contact stirs her curiosity. And as their tentative friendship grows intimate, Meng Ning realizes she must choose between the sensual and the spiritual life. From the austere beauty of China's Buddhist temples to the whirlwind of Manhattan's social elite, and the brilliant bustle of Paris and Hong Kong, here is a novel of joy and heartbreak--and of the surprising paths that lead us where we most need to be.